Kin Hubbard is right in saying that if we do not spend money unnecessarily we would be able to save money and double it. However most of us like to spend and would find it difficult to not spend at all. We feel that it could stress us further. However far to the contrary, accepting the challenges to not spend money on 1 day, not using credit cards for a week and not dining out for a month could help render certain important lessons for life. The challenge to eliminate the use of credit cards for a week. We all tend to spend a lot on small and big purchases with using the credit card that carry a high rate of interest. Credit card tends to make us spend excessively on unwanted purchases. This creates stress of paying back the credit that includes the amount spent and interest. It is true that the use of credit cards have pushed many into bankruptcy and decreased their credit-worthiness. Buying things on cash would only make us spend on things that we absolutely consider necessary. It is found that sometimes postponing the purchase and preferring to pay cash could make us realize that the need was just momentary. It is also true that buying with credit cards causes financial stress and spoiling of important life relationships. So avoiding plastic money could reduce stress, save relationships and safeguard your credit worthiness. The next challenge of not spending for a day could be difficult, but could help save and render some important life lessons. It is true as most of us have regular daily expenses on coffee, tea, lunch, snack at regular intervals and fuel to travel to and from work. Effective planning with implementation of this challenge involves ensuring that your fuel tank is full on the earlier day. Then setting the coffee vending machine the night before could ensure you refreshing brewed coffee to enjoy before you leave for work. Similarly, carrying homemade lunch and healthy snacks like salads, nuts, seed and snack bars could help you eat healthy and save money. It is not important how much you saved, but that you saved and also learnt some of life’s most important lessons. The last challenge of not dining out for a month could be difficult for many today, with some feeling that there is propaganda against restaurants and cafeterias. This is difficult but you would realize on implementation that it saves you a lot of money that is usually spent eating out in restaurants and cafeterias. Some of us eating in cheap fast food joints may not realize it immediately, however its long-term health consequences would prove you wrong. Avoiding eating in restaurants would not only effect huge savings, but also would help you avoid excesses in foods. In addition eating out only on special occasions as a family would help you enjoy the food. It would make the family realize the value of spending money lavishly when you have it or would like a change from homemade food. This does not mean that you should not spend at all on dining out or on getting good things of life. It only means you should have enough money and savings to spend it. This self-control would only help you save and prepare you psychologically for a consumerism behavior when you cannot spend. I am sure you would learn a lot with these spending challenges once you try them. The above article is a guest post by Ramalingam K, an MBA (Finance) and Certified Financial Planner. He is the Founder and Director of Holistic Investment Planners, a firm that offers Financial Planning and Wealth Management. He can be reached at ramalingam@holisticinvestment.in. Please feel free to share your thoughts about this article in the comments section. If you find the contents of MONEY MATTERS useful and interesting, then subscribe to the FREE UPDATES FROM MONEY MATTERS. How to create a workable budget that gives you money and life? "Modern man drives a mortgaged car over a bond-financed highway on credit-card petrol." 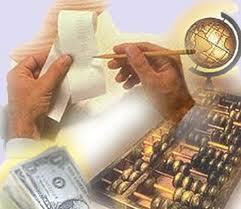 Taking control of your cash inflow and outflow is the base for financial planning. Budgeting is important to gain control over your financial life, be prepared and avoid surprises, save for a major purchase, get out of debt and stay out of debt, expand your lifestyle, and to retire early. Most of us hesitate to make a budget because we think it is about cutting all the fun in life. Budgeting is not about cutting all the fun; it is about conscious allocation of funds. 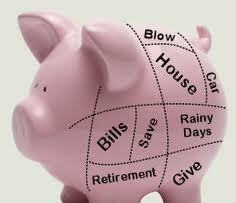 Once we start spending consciously, our mind will find out a whole new way of having fun within the budget. There is a saying, “God is in the details”. Detail every bit of your financials while creating a budget. It could be your utility bills, d’mat account statement, other investment receipts, ITR, Form 16A, Form 16, bank statement, credit card statement etc. The idea is to make out the monthly average of income and expenses. Therefore the more details you can get the more relevant and accurate will the budget be. It is very easy for us to list down the income from employment or self employment. Normally we will lose track of income from investments, rental income and other miscellaneous income. Also check is there any annual income. Don’t forget to record the incomes received by way of cash equivalents like meal voucher and credit card reward points. We can easily list down the major expenses. But listing out the miscellaneous and petty expenses would be difficult. This is where the collected financial statements would help. Don’t forget the annual expenses like car insurance and property tax. Once you have recorded all the expenses then split them into fixed expenses and variable expenses. This classification will provide much more clarity. Most people are surprised to learn that it may go for things that we do not need at all. Writing your expenditures down provides us with the unique opportunity to visualize and find out if any money goes for things that we do not need or want. 4.Are you saving or over spending? Now you have your total income as well as total expenses. Deduct the total expenses from the total income. You will know whether you are saving some money or doing over spending. If you are saving some money channelize that money into the priority areas such as clearing your credit card outstanding or any other loan to become debt free or retirement savings or childrens' future plan. If you are on over spending, then you need to make some adjustments to expenses. On your expenses list, pay close attention to the variable expenses. This is where you can cut short a few expenses.Every month we need to keep aside appropriate amount for the proportionate annual expenses. You can find out the reasons for over spending. Most of the cases it would be emotional buying or unplanned shopping. Once you have pointed out the reasons for overspending, then find out the steps or precautions to be taken to rectify the same. Every month set aside an hour to compare the actual expenses with the budgeted expenses. If there is a negative deviation, find out the measures to control them. Why your earlier budgeting attempts failed? Budgeting is not a onetime activity. It is a continuous process. Normally we start budgeting with a genuine motive. But after a few months it may get off-tracked like our attempts on dieting or exercising. Therefore one needs to understand the behavioural aspects of budgeting. Never focus on the negative aspects. Focus on the benefits of successful budgeting. What will you accomplish by creating a budget? It could be becoming debt free, some money for vacation, planning for retirement or children’s future. Budgeting may over a period of time become routine and hence boring. Set a few short term goals like trying to repay the personal loan in 18 months instead of 36 months. If you achieve it reward yourself. Recognition could be a good motivating factor. Inform all your family members, friends and well wishers about your progress on budgeting. You can also join in some of the forums related to money management. One needs to keep realistic expectation on the outcome of the budget. Over expectation may demotivate you. Budgeting is not a magic. It is an art like singing and dancing. You will be able to progress it only over a period of time with constant practice. If you have not done budgeting for yourself and family so far, then now is the right time to take action. The fact that you are reading this article shows you have decided to stop procrastinating, and have answered the ancient question, “If not now, when?” with “NOW!”. How to calculate your Risk Appetite? “Hawala” , a word which is making headlines very often these days and can be easily associated with Naresh Jain, Madhu Koda, Hasan Ali Khan and many other Hawala Kings. But, What exactly is Hawala? How it works? and Why is this illegal ? These are some of the questions which I was bombarded with by one of my friends . So here goes a set of FAQs (Frequently Asked Questions) about the ever eluding Hawala. The word "Hawala" means trust. Its is an alternative or parallel remittance system, which works outside the circle of banks and formal financial systems. Hawala is an ancient system of money transfer which originated in South Asia and is now being used across the globe. This system mainly developed in India, before the introduction of western banking practices. It is also sometimes referred to as “Underground Banking”. Though it is being used across the world to remit funds, but it is not a legal system. It works on the basis of many middle men called the hawaldars or the hawala dealers. The reason, why Hawala is extensively used inspite of the fact that it is illegal, is the inseparable element of trust and extensive use of family or regional affiliations. Hawala works by transferring money without actually moving it. 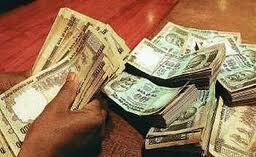 In a hawala transaction , no physical movement of cash is there. Hawala system works with a network of operators called Hawaldars or Hawala Dealers. A person willing to transfer money, contacts a Hawala operator at the source location. The hawala operator at that end collects the money from that person who wishes to make a transfer. He then calls upon his counterpart or the other Hawala operator at the destination place/country was the transfer has to be made. Now the hawala operator at the tranferee’s end, hands over the cash to the intended recipient after deducting a certain amount of commission. The best way to understand Hawala is through understanding a single hawala transaction. For example, Chinappa is a taxi driver staying at UK on an expired tourist Visa. He wants to remit some money for his family in India. Chinappa cannot approach an authorized money transfer agent/bank there as he is an illegal immigrant in the UK. Thus Chinappa finally lands up at a hawala operators office, who not only promises him to deliver the cash to his native place in India at a reasonable commission , but also in a very short period of time. Chinappa then hands over the cash to the UK hawala operator. The UK hawala operator then calls his Indian counterpart and asks him to deliver funds to Chinappa’s family member. Any member of Chinappa’s family can now collect cash from the Indian Hawala operator, after deduction of commission charges and on producing an authentication code, which is generally used in all hawala transactions. A reverse Hawala transaction can also be initiated, where a father approaches the same Indian hawala operator for remitting funds for his son studying in UK through the UK hawala operator. In this manner, money never actually moves. The position of the hawala operator’s in each others books gets squared off. Yes, Hawala has been made illegal in many countries, as it is seen to be a form of money laundering and can be used to move wealth anonymously. As hawala transactions are not routed through banks they cannot be regulated by the government agencies and have thus emerged as a major cause of concern. This network is being used extensively across the globe to circulate black money and to provide funds for terrorism, drug trafficking and other illegal activities. In India, FEMA (Foreign Exchange Management Act) 2000 and PMLA ( Prevention of Money Laundering Act) 2002 are the two major legislations which make such transactions illegal. Why people still use Hawala? So, the next time you come across the word Hawala, I am sure you will be able to draw a picture about the transaction in your mind. Please feel free to share your thoughts and experience(if any) about the hawala route here. Discalimer : MONEY MATTERS does not recommend you to use the Hawala method for money transfer. This article is meant solely for the purpose of quenching your Hawala thirst. If you find the contents of MONEY MATTERS useful and interesting, then please subscribe to the FREE UPDATES FROM MONEY MATTERS. With a little knowledge and willingness to follow a particular financial plan, most people are successful in handling their personal finances. Despite of many people handling their personal finances on their own, there are some others who cannot get a grip on their finances. As budgeting is usually the first step that must be taken towards your personal finances, there are many who seek the help of an online budget planner to develop an effective budget that could assist them in tracking their income. Similarly, the financial analysts help the consumer keep away from debts by managing their personal finances. Here are some ways in which a financial advisor must help you out. Set realistic benchmarks to achieve: Once you have already signed up with your financial advisor, the first and the most important thing that you must do is to sit together and create some realistic benchmarks for you to follow throughout your life. It is very necessary for everyone to set some financial goals so that you can tread on a path where you may achieve it. However, you need to make sure that the goals must be realistic, which means that you must be able to attain them within this life. Set up a practical budget: The role of a financial advisor is not complete unless he sets up a financial budget for you. You can even take help from an online budget planner to create a budget that’ll help you track your monthly income and expenses so that you can monitor your monthly savings. Without saving money and leading a frugal life, a consumer can never get back a grip on his personal finances. Advise you on effective money management: As you enroll yourself with a financial advisor, you will have to disclose your financial picture to the analyst so that he can assess your finances and know where you stand financially. Unless you know how to manage your personal finances, you may not be even able to reach your desired financial goals. This kind of help can only be got from a financial analyst who will even prove his teachings with effective monetary results. Before you can even begin to look for a financial analyst, make sure you shop around to get in touch with the most authentic financial planner in the market. 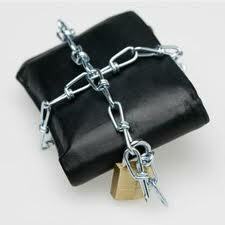 Utilize their expert financial advice and help yourself lead a tension free life. This is a guest post by Angela Brown who is a contributing writer for a US-based debt communities. Brown’s expertise in the consumer debt industry has given her the opportunity to contribute her work to several financial websites. Tata Steel FPO Review : Primary market in the first month of the new decade is all set to taste a big ticket public issue in the form of Tata Steel’s Follow on Public Offer (FPO). This public issue of India’s largest steel maker will hit the capital markets between January 19 to 21. Tata Steel has fixed the price band of Rs. 594-610 per share for its follow on public offer (FPO) of 5.7 crore shares. At the higher end of the price band of Rs. 610 per share, the company is expected to raise Rs.3,477 crores from the FPO, while at the lower end of price band at Rs. 594 per share, it will raise Rs. 3,385 crores. The company has fixed a bid lot of a minimum of 10 equity shares and in multiples of 10 shares thereafter for the issue which comprises a net issue to the public of 5.55 crore shares and a reservation of 15 lakh shares for subscription by eligible employees. The expansion work at the Jamshedpur plant, which is scheduled for completion by March 2011, will augment the steel production capacity of the plant to 10 million tonnes per annum. Also the redemption of non-convertible debentures held by other Tata Group companies will help in deleveraging Tata Steel’s Balance Sheet. Financials : Tata Steel has grown significantly in recent years with its steel production capacity increasing from 5.0 mtpa in FY 2006 to 27.2 mtpa currently. This growth was primarily due to the acquisition of Corus Group Plc. In April 2007. 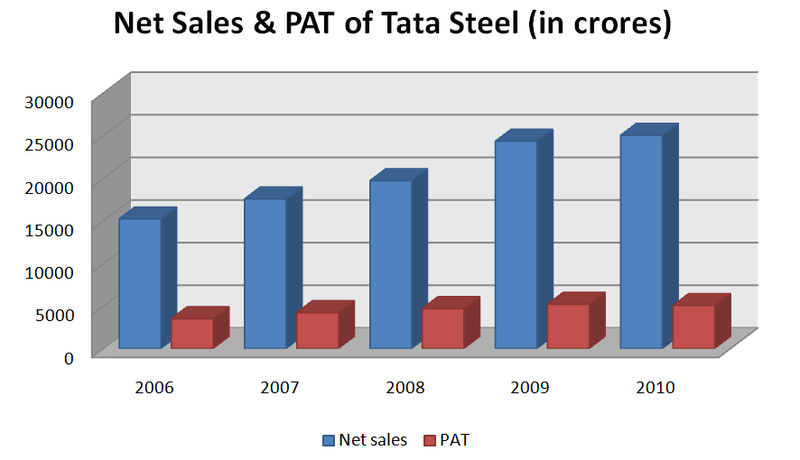 As seen in the table, the net sales of Tata Steel have been constantly on the rise. As of September, 2010, Net sales stand at Rs.13,658 crores. The Net Profit of the company has also been growing steadily except for the FY2010, where some pressure is visible on the margins leading to a meagre fall in profitability. Also, the PAT of the half year ended stands at Rs. 3,645 crores keeping up with the upside trends in profitability. The Balance of the company reveals a mounting debt pressure from FY 2009 onwards, which is primarily there as a result of overseas mergers and acquisitions. It is to ease this debt liability in the form of non-convertible debentures, that the company is coming up with a public issue. 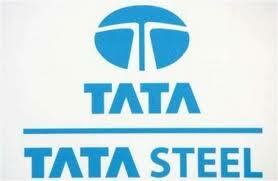 Tata Steel had total assets of Rs.1,21,368 crores and a total net worth of Rs.27,742 crores as of September 2010. Valuation (Pricing of the issue) : Price of the FPO, in which Tata Steel is off loading its 5.94 per cent stake, is offered at a discount of 5 to 8 per cent from stock price of the date of announcement, which stood at Rs 647.6 a share. Considering an EPS of Rs. 57.3 for Tata Steel (standalone) and a composite steel industry P/E multiple of 10.9, the issue within a price band of Rs. 594-610 seems fairly priced. Also the Net Asset value per equity share of Tata Steel as of September 2010 stands at Rs. 463.6. However this being an FPO, meaning that the share is already listed on the Indian stock exchanges, pricing is always a tricky task. Since the announcement of this issue, Tata Steel’s stock price has fallen by around 4% and closed at Rs. 621.71 on Friday. Strengths : Tata Steel has its principal operations in India, Europe and Asia Pacific. It enjoys a very strong position in India as compared to its Indian peers like JSW Steel, Sail and Bhushan Steel. Europe, which is a key market for the company accounts for almost 47% of its net sales. Regular supply of raw materials and cost competitiveness have given it an edge over other steel majors. With the acquisition of Corus in 2007 and utilizing its operational best practices, Tata Steel now has diversified product offering and that too at a highly competitive price. Risk Factors : Though Tata Steel is a global heavy weight in the steel industry, but still it is exposed to a large number of operational risks. Steel industry is greatly affected by global economic conditions. A slower than expected recoverycan materially effect the steel industry and Tata Steel is no exception. Also, the steel industry is highly cyclical and a decrease in steel prices can adversely effect the financial health of the company. In addition to the risk factors associated with entities working in the core industrial sector, Tata Steel is also exposed to the uncertainties associated with the implementation of the Mines and Minerals (Development and Regulation) Bill, 2010 (the MMDR Bill). The new bill proposes to provide for ownership of the mining companies by allotting 26% of the shares to the stakeholders as compensation. It also seeks to rationalise royalties, taxes, cesses and auction procedures of mining blocks. Mines and steel cannot be analysed in isolation, as the former provides the raw material for the latter. Looking at the strong fundamentals of the company, it appears to be a long term investment option. However, looking at the choppy markets and the nature of the issue (being an FPO), it may not lead to huge listing gains. So take a call after analysing your risk appetite and financial goals. Please feel free to share your thoughts about the upcoming public issue and its. Your feed back would be highly appreciated. Disclaimer : All the information and financial numbers published in the above review have been obtained from the RHP of Tata Steel filed with SEBI. MONEY MATTERS has only reproduced those numbers in a simple manner to assist you in taking better informed investing decisions.